In the race to tap the amazing markets of smartphone users, companies are deploying unique ways to stay distinct and attract customers. Distinct in its own approach, Lyf Mobile phones are modeled and named on the different forces of nature. The company presents four flagship phones by the name of Earth, Water, Wind, and Flame. Adopting a comprehensive marketing technique over both online and offline, Lyf is promoted by the Indian Multinational giant Reliance. 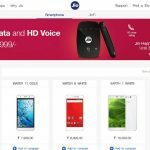 It is a subsidiary under the brand of Reliance Retail and features some classy looking smartphones and gadgets. Does the brand has the power to compete in the immense competition? All new Lyf launched smartphones seem to have been built by keeping the trend of smartphone users in mind. The smartphones have been classified under 4 flagships whereby each of them cater to different targeted customers. The Flame series is set to cater to the lower budget segment while Wind, Water, and Earth caters to Budget, Mid-Budget and Premium segment respectively. For instance, if a customer is searching for a basic smartphone that does different tasks of smartphone connectivity with ease, then Lyf Flame 4 could be an option. The smartphone comes with 8GB internal capacity and a Dual SIM Support on 4G networks. The 2 megapixel camera is capable of taking some decent snaps too. Similarly, the high end customers expecting a smartphone that offers a powerful processor backed by a bigger RAM could opt for the Lyf Earth 1 It comes with a 13-megapixel shooter, 3G RAM, 4G support, 3500 mAh battery, and a lot more advanced features. 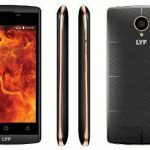 How to select the best Lyf smartphone for your needs? 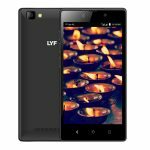 Lyf smartphones have been well segmented and customers can find easier to compare and select the kind of mobiles they are looking for. For instance, if a customer is searching for a smartphone under Rs. 10,000 then he could compare the phones that are featured in the Wind segment. This includes the likes of Lyf Wind 4, Lyf Wind6, etc. Similarly, for all those who wish to have a powerful phone within a budget of Rs. 15,000 could opt for mobiles like Lyf Water 1 & Lyf Water 2. They can compare the specs based on the price and select the product which meets their expectations and budgets. 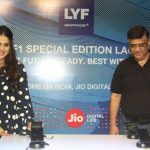 Lyf smartphone would definitely be offering some sort of competition to the existing players thanks to the extensive brand that Reliance already has across the country. Additionally, the company is expected to come up with some new brand of phones with exceptional features in the near future.